Last week, we explored the raft of new Nashville holiday albums, so this week we’re listening to some of the shorter gifts. So thank you, again, to Chris Young, Amy Grant, Jennifer Nettles and Kacey Musgraves for the finest Christmas collections of 2016. Only two of today’s discs are full albums, the ones by Neil Diamond and Jenny & Tyler. The second one was a completely unexpected delight and wins this week’s DisCovery Award. 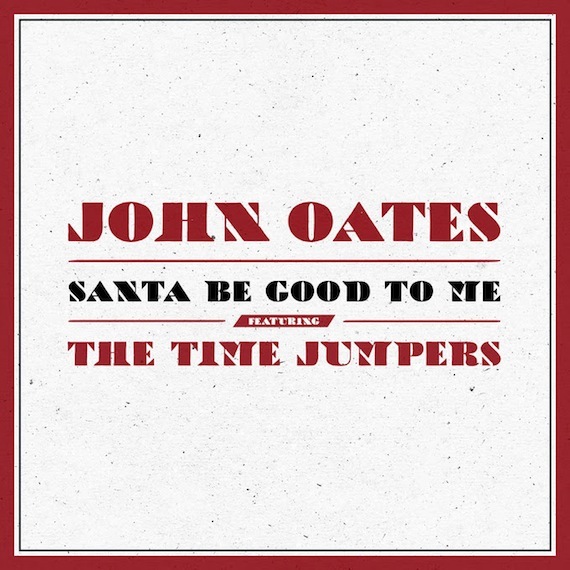 As for the singles, I am giving the Disc of the Day prize to John Oates & The Time Jumpers. They are swingin’ the season. —This CCM group will melt your heart with this outing. A little boy is trying to buy his dying mom a pair of shoes so she can meet Jesus in them when she passes away on Christmas eve. Written in teardrops and sung with soul. —The song is okay, but this guy sounds as vocally weak as a newborn reindeer. —This doesn’t rock with as much verve and personality as Brenda Lee’s original, but Lane is a strong vocalist with plenty of confidence, and Toshinsky’s production is flawless. Recommended. —Diamond’s yuletide offering is titled Acoustic Christmas. Among the musicians are such longtime Nashville favorites as Richard Bennett and Matt Rollings. Seven of the tunes are public-domain standards given new arrangements by the star. Four are lesser-known holiday tunes written by others (including Leadbelly and The Weavers). And then there are his own two newly-penned numbers, “#1 Record for Christmas” and this ballad for loved ones who have passed away, but left cherished memories behind. Tender and sentimental. The DisCovery Award goes to Jenny & Tyler. 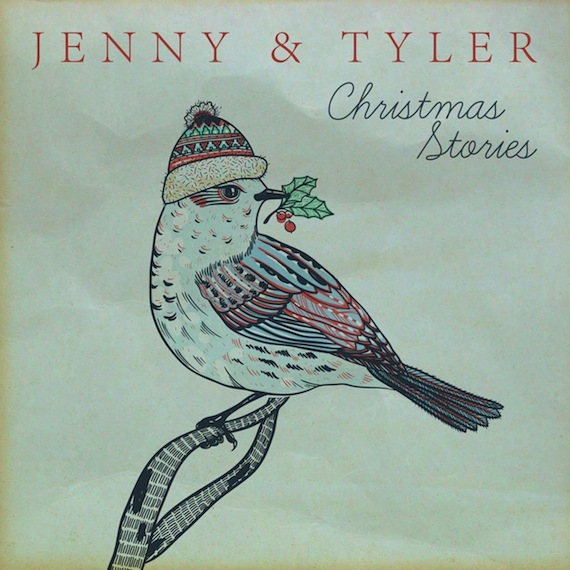 —This Nashville Americana duo’s CD is titled Christmas Stories. It leads off with this gently swaying ditty that’s infused with nostalgic holiday images. His slightly raspy voice has fireside warmth, and her wafting soprano is as soft as a snowflake. This collection is definitely the discovery of the season. Whether taking on standards like “Winter Wonderland” and “I’ll Be Home for Christmas” or offering originals like this and the piano instrumental “Gloria Immanuel” they are a sonic delight. And you have probably never heard more inventive arrangements of “O Holy Night” and “Handel’s Messiah” in your life. —This gets major bonus points for coming to us via a green-vinyl 45 r.p.m. single. With The Time Jumpers on board, you know it has to have the most delightful swing groove. The jazziest yule tune of the year. —With a light Bo Diddley beat, groovy retro backup singers and synth strings backing him, Ray offers a very cute new Christmas tune, sung from the point of view of the donkey. Stay tuned for the mid-song braying and bop right along. Super enjoyable. —Melodic and eminently listenable, with a confident, pop lead vocal, solid acoustic guitar work and a piano solo. —I love the sad holiday songs, and this one’s one of the saddest. It has that smiling- through-tears quality that is so heart tugging. Krauss takes the second verse with a breathy whisper and shadows Lauper in perfect soprano harmony elsewhere. A lovely job on a lovely tune. —This is a lively, rocked-up version of this standard. Johnson has a solidly country delivery and the chorus folks shouting along sound like they’re really excited.